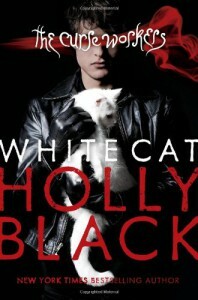 “White Cat” by Holly Black was surprisingly good. The story centers on Cassel who comes from a family of gifters. Many years back he murdered his best friend Lila but he cannot remember how or why. Now his world gets turned upside down when he starts dreaming of a white cat. This book has an interesting magic system that I found kind of unique. Especially how it was integrated into society, how the view of gifters has changed in history. It made the magic system so much more real. The story was fast-paced and never boring. The side character brought a little humor to the book and it read a little bit like a crime book when Cassel tried to find out what happened so many years back. I listened to the audiobook and if my library had the second book as an audiobook I would continue with the series. However, I am not interested enough to pick up the sequel as a hardcopy.